The chief of police of a small Box Elder County community has been cited for driving under the influence. According to a press release from the Utah Highway Patrol, Mantua City Police Chief Shane Zilles was arrested after being pulled over Tuesday night near Wellsville. 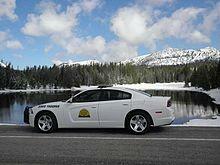 Zilles was driving his police vehicle on US Hwy 89/91 at a high rate of speed, without emergency lights or siren. After failing a Standard Field Sobriety Test, Zilles was arrested. Zilles has been chief of police in Mantua since 2016. Prior to his appointment, he served as a deputy for the Cache County Sheriff’s Office, where he was named deputy of the year in 2015.